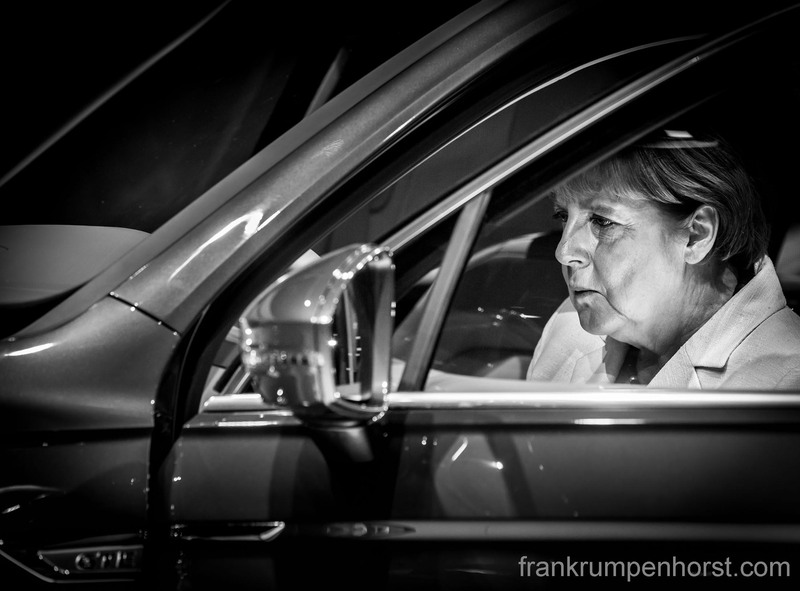 Angela Merkel sits in a Volkswagen during her opening round of the Frankfurt Motor Show IAA, Sep. 17. This entry was posted in germany, merkel, Photo, Photography, volkswagen cars and tagged angela merkel, auto, car, chancellor, frankfurt motor show, iaa, motor, Volkswagen, vw. Bookmark the permalink.